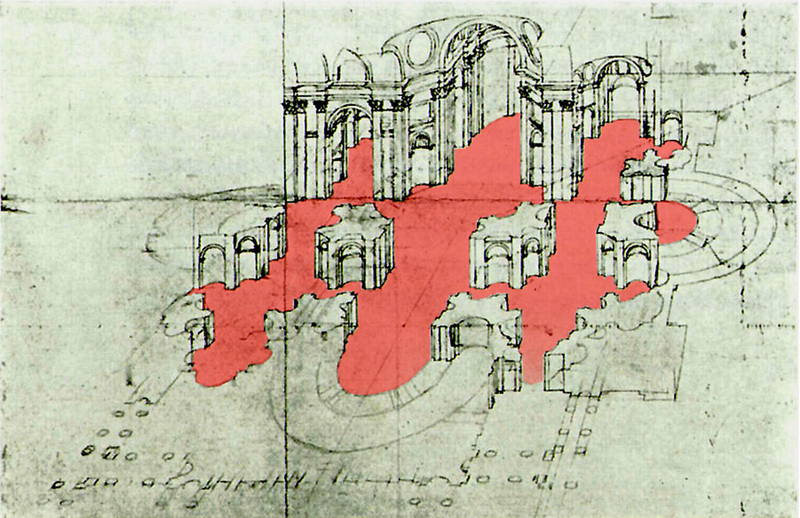 The following images are representative of a series of studies on the innovative graphics styles, conventions, and compositions that pervaded architectural drawings of the Italian Renaissance. 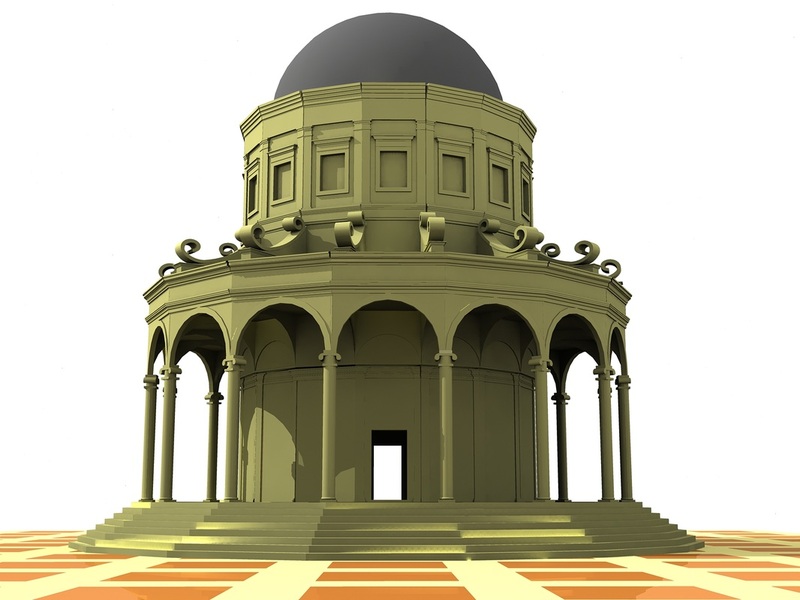 Since the examination of all architectural drawings of the Renaissance from Italy would be an impossible task, this study will focus on the representation of centralized buildings. Much has been published on the centralized church of the Renaissance in terms of its link to humanism, design theory, and programmatic functionality; however, little attention has been given to the actual graphics of representing a centralized structure. Since there were no established rules for architectural drawing, nor was there a formal training process for architects, early drawings that represented centralized spaces show a wide range of individual thought and conventions. 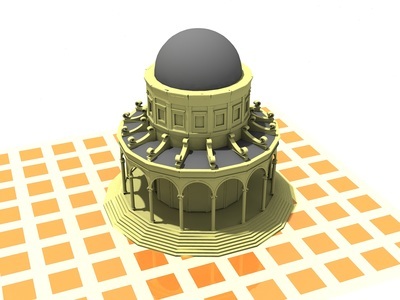 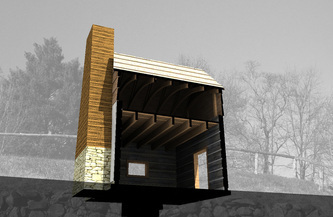 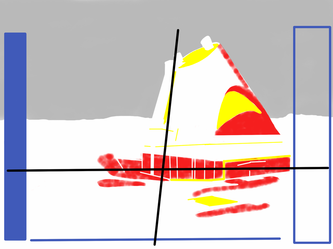 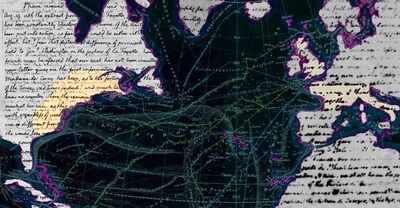 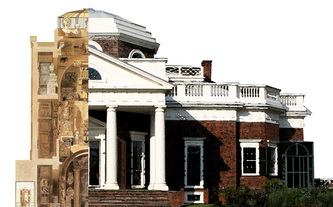 In this modern, digital age, the graphic representation of architectural space is facilitated by the use of sophisticated computer aided drafting programs; however, designers of the Renaissance pioneered the conventions of graphic, architectural language. 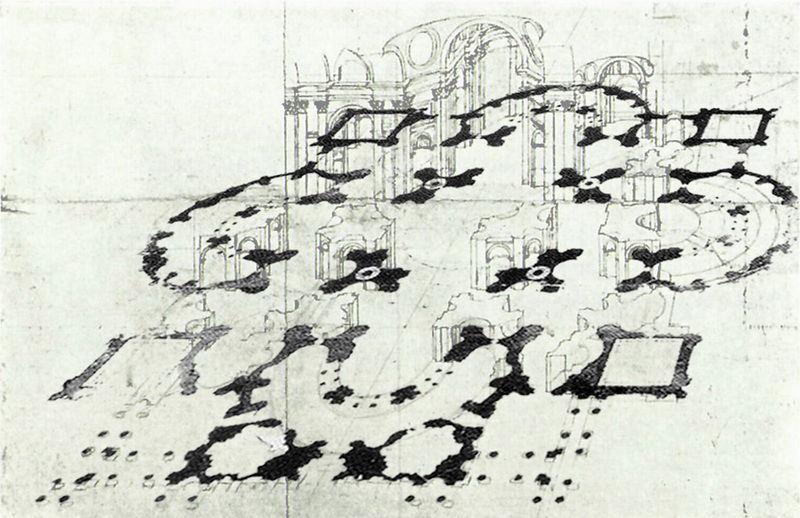 The aims of research were to seek a better understanding of the foundations of architectural drawing, to discover the factors that influenced graphic composition, and to comprehend how the innovations in the Renaissance altered architectural drawing for subsequent generations. 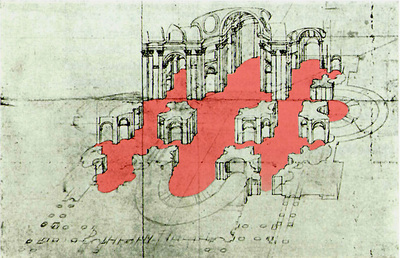 This research was conducted while completing a M.Phil in Architectural History & Theory at the University of Cambridge, 2005-2006. A palimpsest of the Tempietto composed of sections from the Codex Coner and a modern, measured section of the building. A study of the use of perspective and plan cuts in Peruzzi's drawing of St. Peter's (UA2r). 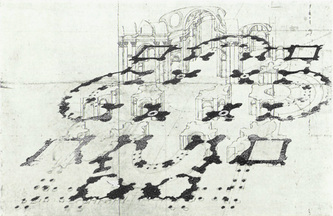 Although an architect’s legacy is typically defined by built work, designs left behind on paper or canvas can brilliantly illustrate that architect’s unique style as well as illuminate the his theory of space. 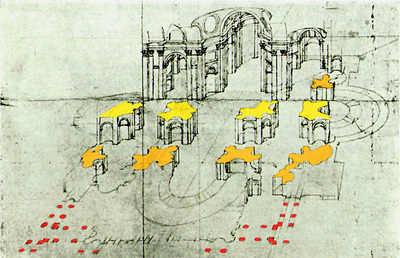 The aim of this research was to examine Raphael’s spatial theories as well as his unique approach to architecture evidenced through architectural drawings by or after the artist and his architectural designs executed in painted form. 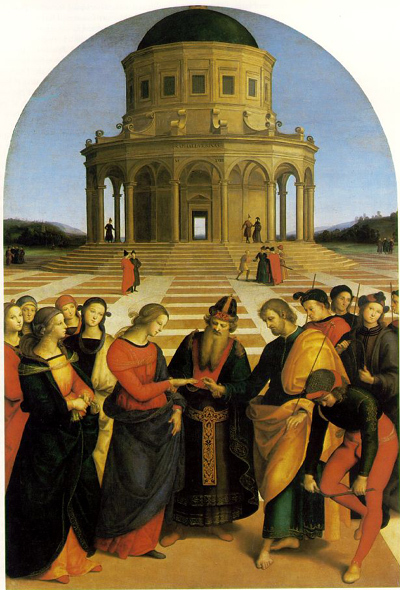 Along with analyzing loose thumbnail sketches and orthogonal architectural drawings this research explored the architectural compositions pictured in three of Raphael’s paintings: The Marriage of the Virgin (Lo Sposalizio), the School of Athens, and the Expulsion of Heliodorus. 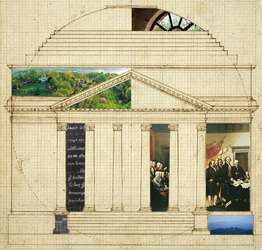 Through the superimposition of the paintings' and related perspective grids onto CAD models, I reconstructed the architectural spaces rendered in these three paintings to address the structure, innovative aspects, and spatial composition of Raphael’s painted architecture. The selected images below show a portion of the modeling related to the Sposalizio, the first, and arguably the most experimental in terms of its form and structure, of Raphael's painted architecture studies.